Today's Children's Picture e-Book Review is Lucky, written by Craig Inglis and illustrated by Richard Kinsey, for Ages 3-9. Lucky is about a lonely man who befriends a dog and names him Lucky. They have lots of fun together until tragedy strikes and Lucky loses a leg. Lucky has to re-learn how to walk, but the man loves him through it and they end happily ever after. The illustrations are whimsical and adorable, Kinsey has a distinct style in his art that really adds to the story. I'd love to see more illustrations from him. I read this book to my 4, 7 and 10 year old. We enjoyed it, except we found the end a bit odd when Lucky relearned to walk on three legs and was even better than before and he felt like he was flying. I assumed it was metaphorical, but kids were confused. Did Lucky really learn to fly? Or did they feel like they were flying because of their close friendship and happiness at being together? 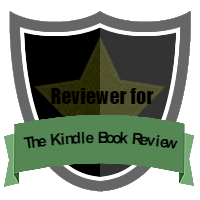 The odd ending kept this book from a 5 star rating on the story. Why did you begin writing? I began writing about 10 years ago. I was interested in the biographies of people who had overcome disabilities to lead productive lives. I had a book about FDR and one about Christopher Reeve that I was shopping around to publishers. Why did you write about Lucky? I was always interested in children's books, especially picture books. I had studied Children's Literature in college and read stories to the children when I was a teacher in pre-school. 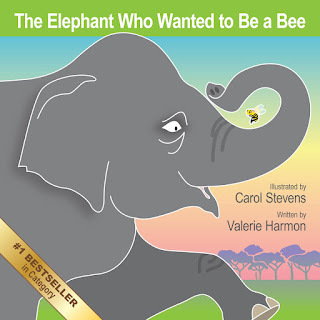 So when I hit the wall with biographies, I turned to writing children's stories. "Lucky" was my first. I took the idea of disabilities and gave it to the character of a dog, who, in the book, overcame his disability. I engaged the help of a friend who was an artist with a whimsical side to his art and we completed "A man and His Three-Legged Dog." I shopped it around for a while with no success and then tried a few other stories with no success. Then, one day I was listening to [the song] "Lucky" by Jason Mraz. I suddenly realized that "Lucky" was the perfect title for my dog book and also re-wrote the story emphasizing love and determination. What do you hope your readers will think about Lucky? I hope that children will come away from reading the book with the belief that they can overcome obstacles in their lives with the love of friends and with plenty of determination. When things are tough, maybe schoolwork or sports, don't give up! Also, I hope that kids gain some respect for the disabled people that they meet. A Fog? A Dish? 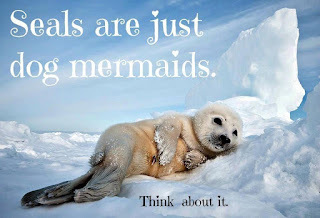 No, A Seal! I was sent this photo by Susie R. since this meme reminded her of my books. I could title it, The Dog Who Wanted To Be A Fish! Makes me want to go Awwww. But naming its mashup Dog-Fish would be hard. Fog? Dish? Nope. It's already a Seal. Well, I won't be writing a book with the mashup already done by nature (sorry for those of you who've suggested a Platypus), but I do enjoy the meme. The original photograph came from National Geographic, but I don't have a link to the original meme. Today's Children's Picture e-Book Review is Petal's First Winter, by Joy Findlay, for Ages 3-6. As you can see from the iPad screenshot, this cover is CUTE! Well the illustrations throughout the entire book are just as adorable. The texture of the snowflakes and leaves and the sweet owlet--just make you want to give your child a squeeze. Five stars for Findlay's cover and illustrations. However, the story is too short and there's a problem with the timeline, and that is why I only give it four stars. I liked it, but I want more of it. Findlay didn't add the words that gave me a sense of time. This book takes place in one day, yet Petal starts on autumn-leaved branches, ends on bare branches and enjoys her first snowfall. Findlay needed to add a sense of timing to the day, and add the snow piling over the autumn leaves on the ground to an illustration, rather than jumping to a white landscape. With the advent of color capable devices, children's picture e-books now have a place and I expect the genre to increase in quality and quantity. And Petal's First Winter will have a spot in that list, thanks to Findlay's outstanding illustrations. What could I call it? A Shorse? A Hark? 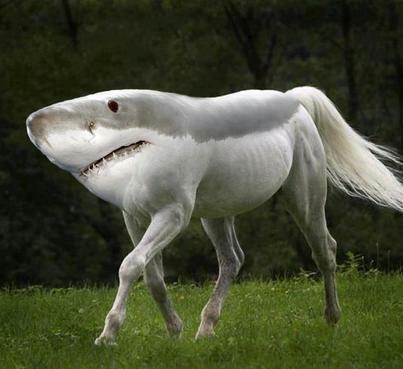 The absurd photo above was sent to me as another book suggestion: The Horse Who Wanted To Be A Shark. Every time I look at it, I have to laugh. I don't know the source, and Google Images only recognized it as a horse. So..to the person who played with Photoshop, "Thank you for the laughs." And thank you Ken Craig for the "suggestion." What video software should I use to make my book trailer? The answer to that question is: Whatever video software you know how to use! But since you're here, and maybe looking for a more complete answer than that, I will give you my opinions on several video editing software options. I must warn you that I am heavily biased towards using a Mac to make videos. My preference for Mac stems from my video projects repeatedly CRASHING on a PC. I used to create videos on a PC using MovieMaker. I loved MovieMaker, except for this limitation: I could upload my MovieMaker file, but I couldn't record it onto a dvd. I found that extremely frustrating. I don't know if it's changed or not since I haven't used Moviemaker in several years. However, Moviemaker is intuitive (a fast learning curve) and that is huge for a beginning video editor (which I was at the time). However, it crashed. All the time. Often deleting my work of HOURS (video editing is tedious but satisfying, as long as your work doesn't disappear). With video deadlines, and the emotional turmoil of losing my work (yes, turmoil--have you had it happen to you? ), I was delighted to finally get an iMac. Here's a YouTube tutorial on using MovieMaker. My iMac came with iMovie, the Apple video making software that I've used the most in my paid video making work. I've really enjoyed using it. It's almost as intuitive as Moviemaker, and it is more flexible and customizable. 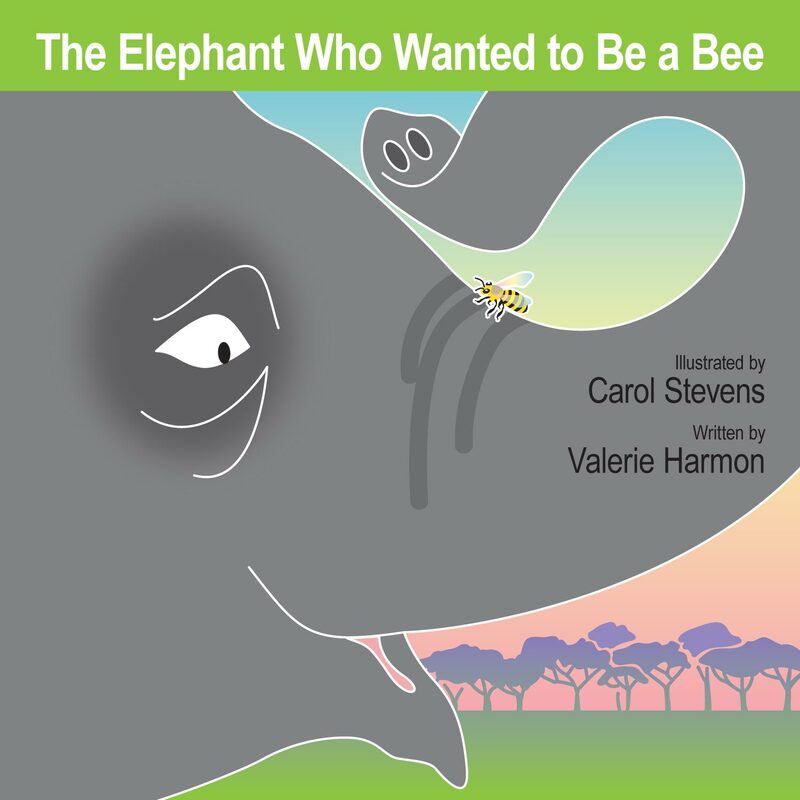 I used iMovie to make these two book trailers on my Snorse book and my Ellabee book. Here is a beginning tutorial for using iMovie on YouTube. Currently I am upgrading my skills to Adobe's PremierePro CS6 video editing software. PremierePro is not as intuitive as iMovie, but it takes customization to the next level. I've found that PremierePro is much better at taking multiple video files (especially from different camera angles) and seamlessly cuts them back and forth into each other. Good luck as you market your book with a fabulous book trailer! Did you decide to use different video software? What did you like about it? To This (NOT the color of the title, although we changed that because the green is more readable, and we were changing the cover anyway). We added a Very Special Ribbon to the cover. See it? #1 Bestseller in category (on Amazon). This just happened TODAY! And we couldn't be more thrilled. UPDATE: I liked the gold ribbon, but I like this gold medallion even better. My illustrator updated our two covers to look like this (see below). I LOVE the change. 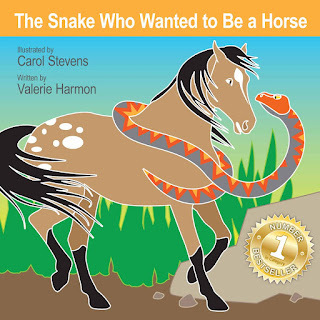 And I think Carol Stevens is an amazing illustrator--I may have said that before, and I will say it lots more, I can tell. 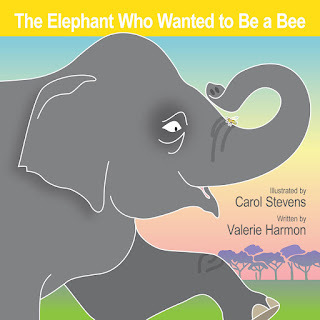 Last week The Elephant Who Wanted To Be A Bee published on Amazon! It's the second book in the WantsToBe series, and the third one is almost ready! Illustrator Carol Stevens and I are on a ROLL! Music is vital to any book trailer. Even if you include voiceover, you need to have music. Music creates mood, adds a professional feel, and can help people watch your book trailer all the way through (YouTube penalizes videos that people don't watch to the end). Most importantly, music contributes to a successful book trailer that helps you sell books. However, the music HAS to fit your book and your video. This video has horrible music (don't do this!) besides the fact that its cursive script is hard to read. Yet, this video has had over 15,000 views! Crazy! What this means to me is that a good book trailer could pull down even more views. Take a look at this book trailer. This award winning author has great visuals (I must admit that children's picture books are ahead of the video game because they are already visually appealing), but although the visuals are fabulous, I think the music takes away from the video. Have you encountered some other bad book trailer videos? The same part of me that can stand B movies likes to watch poorly made book trailers and laugh. So feel free to link to them below. If you want to see some book trailers that do it right, read this post on Book Trailer Content for a couple links. If you have some examples of well-done book trailers, put the link in my comments. I'm on the prowl for some more good book trailers (and they aren't easy to find). So where do you find good video music? My current favorite place to find free music is Incompetech. It's royalty-free (no copyright) and, did I mention, it's FREE! Yes, I was excited about that too. You just need to give the credit like this: Music: courtesy of Kevin MacLeod (www.incompetech.com). 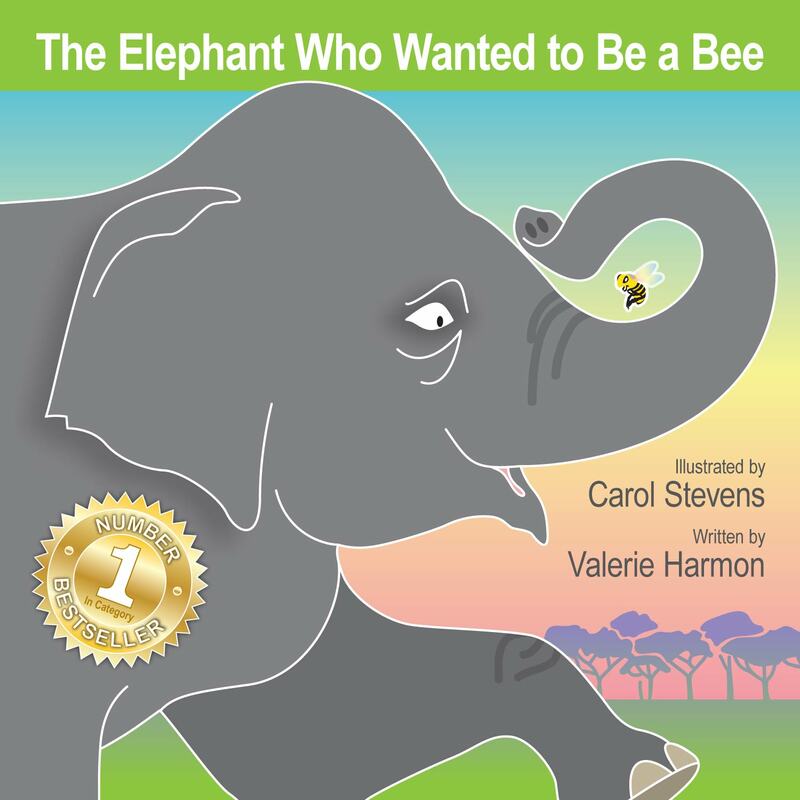 I used Incompetech music for these two book trailers: for a jungle feel in The Elephant Who Wanted To Be A Bee and a child's fun type of music in The Snake Who Wanted To Be A Horse. AudioJungle is my current music-that-costs favorite site. The music is inexpensive and there is a lot to choose from. I am buying a song for my next book trailer there, and it costs $11! That's it. If you've never paid for video music, then you don't know what a great deal that is! In doing professional video work, I would often buy music from Production Trax. I bought songs from $85 to $140. Per song. My clients were pleased with the finished video, and I liked the songs myself (watch and listen to two of them here or here), but I am thrilled that I can find other music sources with great music and a better price, and I'm glad I can share those contacts with you. These are other music sources that were recently recommended by video making professionals in my network. I haven't used them yet myself. If you use them, tell me what you think! If you can recommend any others, let me know in the comments. I'm always on the lookout for better sources. Best wishes on your book trailer-making endeavors!